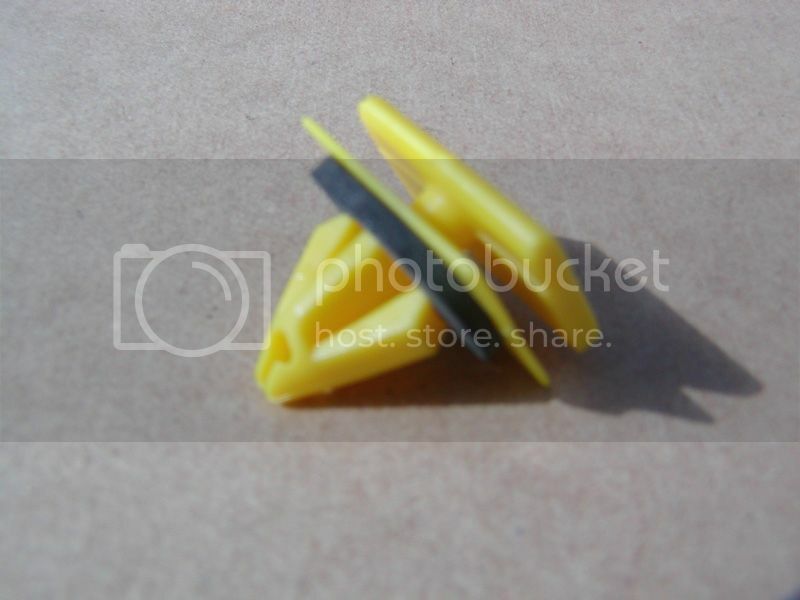 Do you know if these are the same clips used to hold the fuel pump wiring harness under the back seat? Had to add some more wiring when I installed the CTS-v fuel pump and would like to just dress it up. 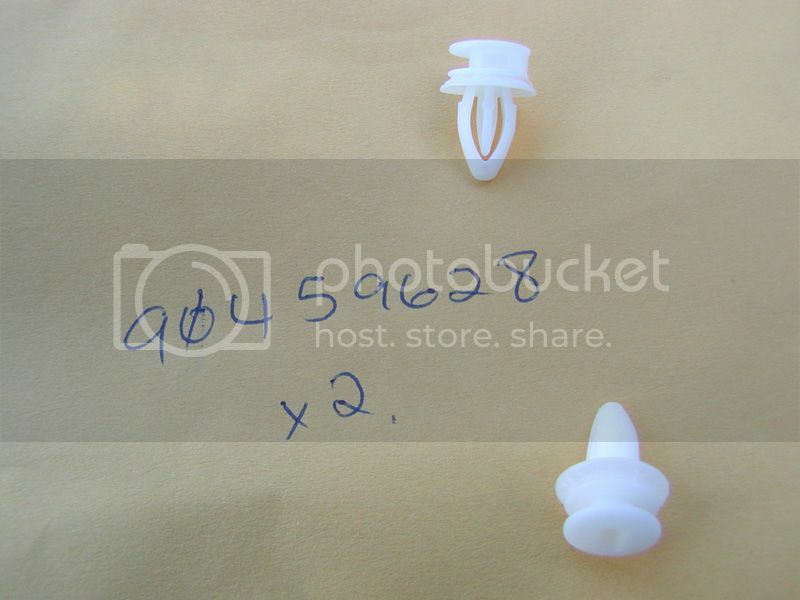 The male thread on those clips pictured is M10x1.5, they'll screw into any M10 hole. 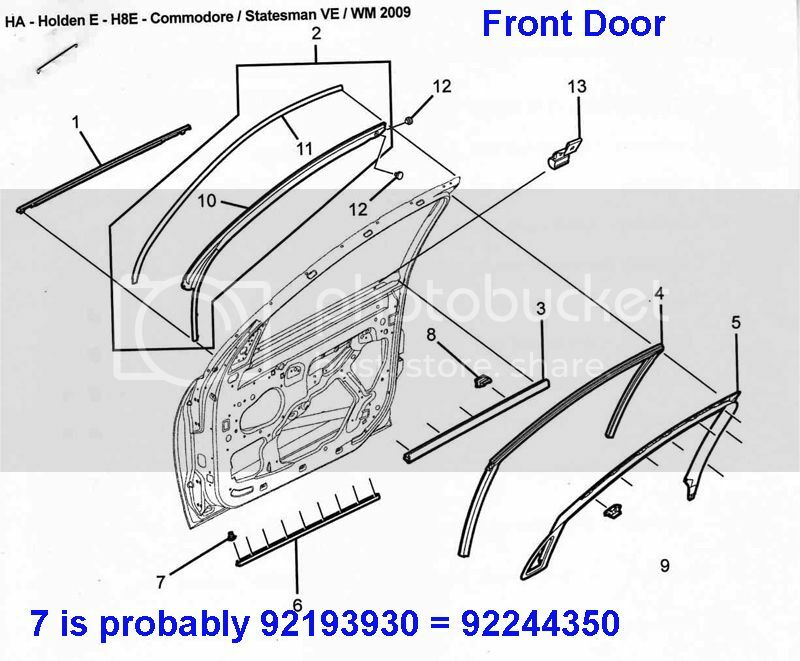 Inner door retainers for weatherstrips. 92193930 is no longer available and is superceded by 92244350. 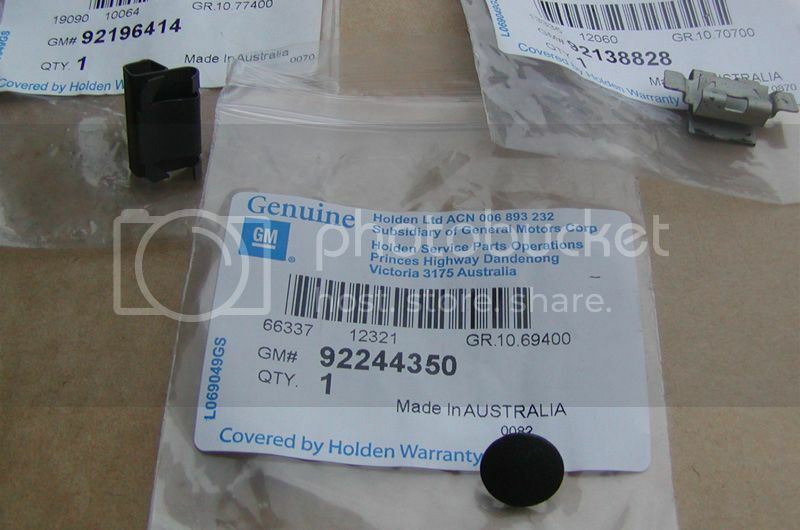 92244350 is shown below as a black push-in retainer (but yours could be any colour), head diameter is 12mm, the barbed shaft is going to suit about a 5mm hole. Shaft is 8mm long. 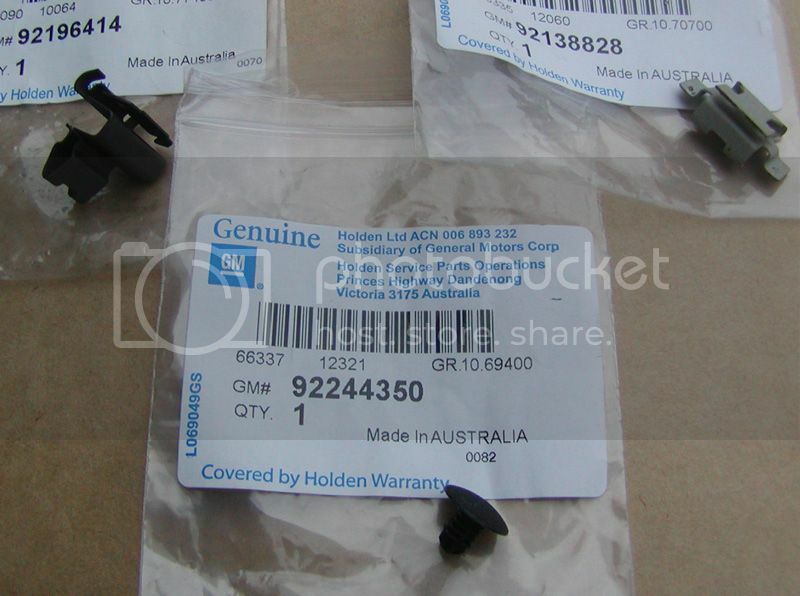 92196414 is a black all metal clip. 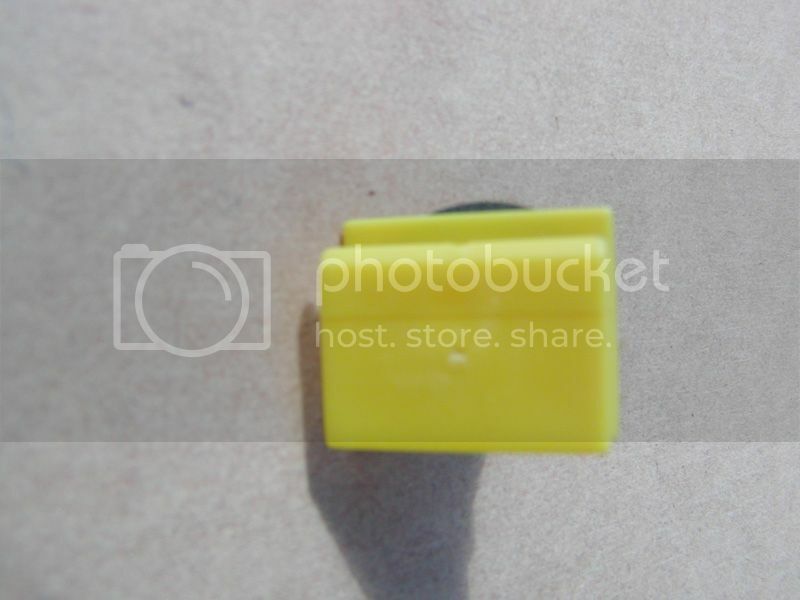 92138828 is a silver all metal clip. 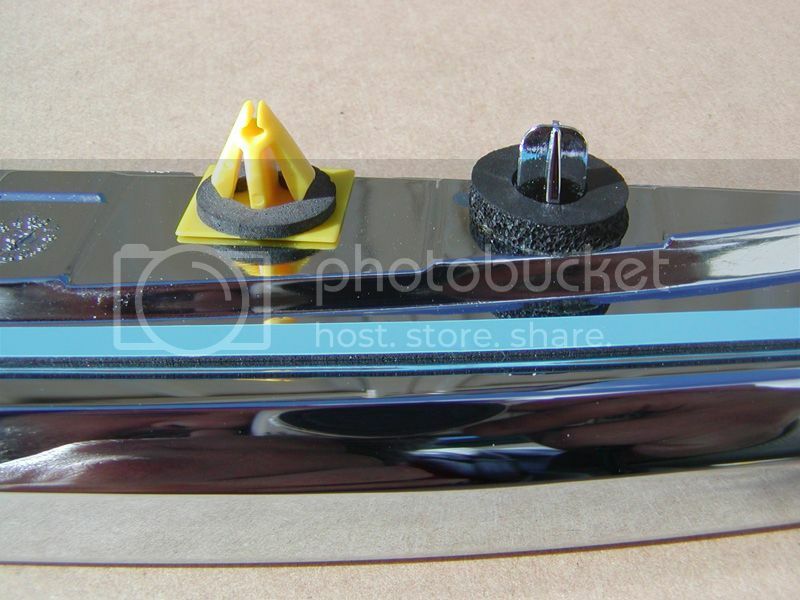 Yellow retainer 25724529 used on Calais rear chrome strip above license plate. 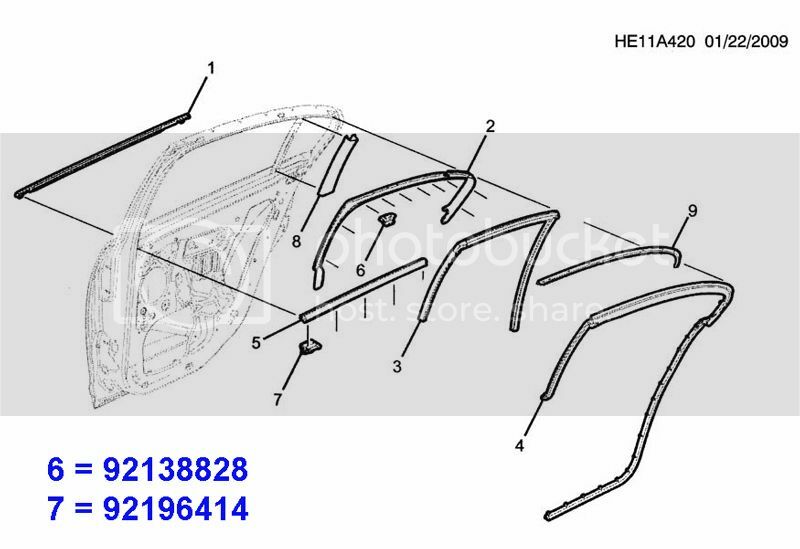 Also used on stock G8 lip spoiler. Whenever I pull up P/N 25724529, I get white clips without the foam sealer/washer. See the attachment. 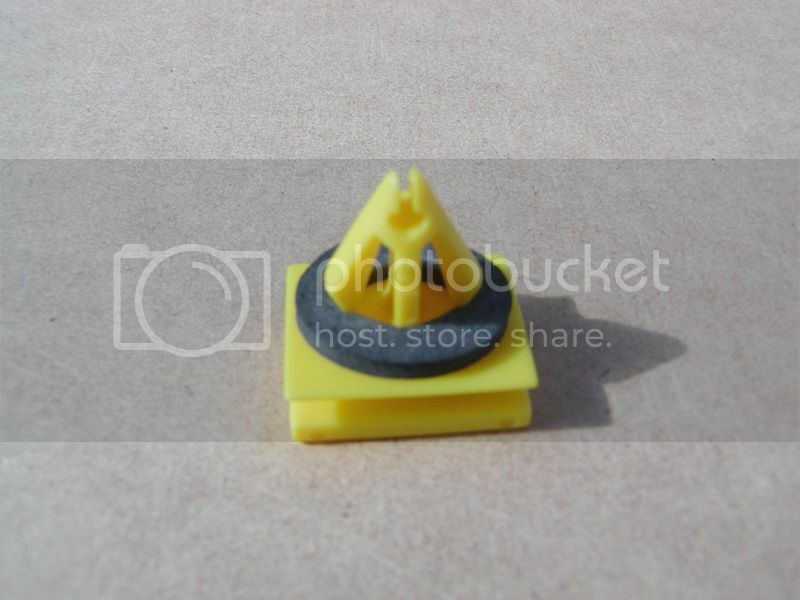 I did find another part number for the yellow clips with the same specs that comes with the foam sealer/washer. 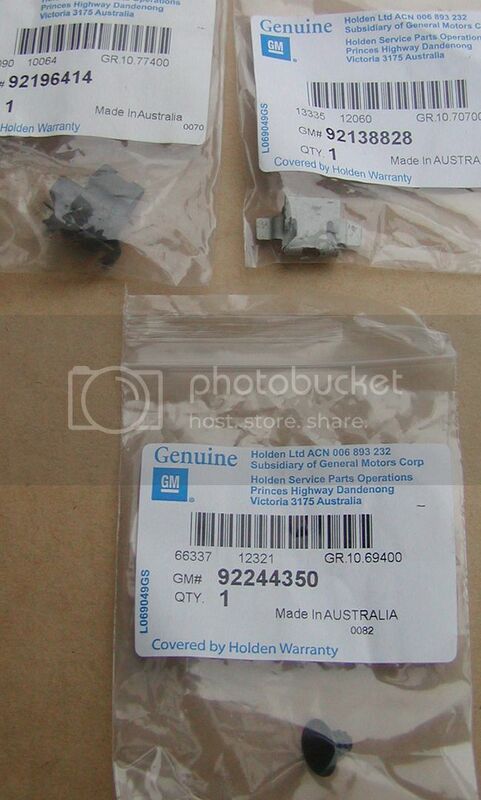 That part number is 5480852 and has a Dorman P/N 700-058. See the attachment. 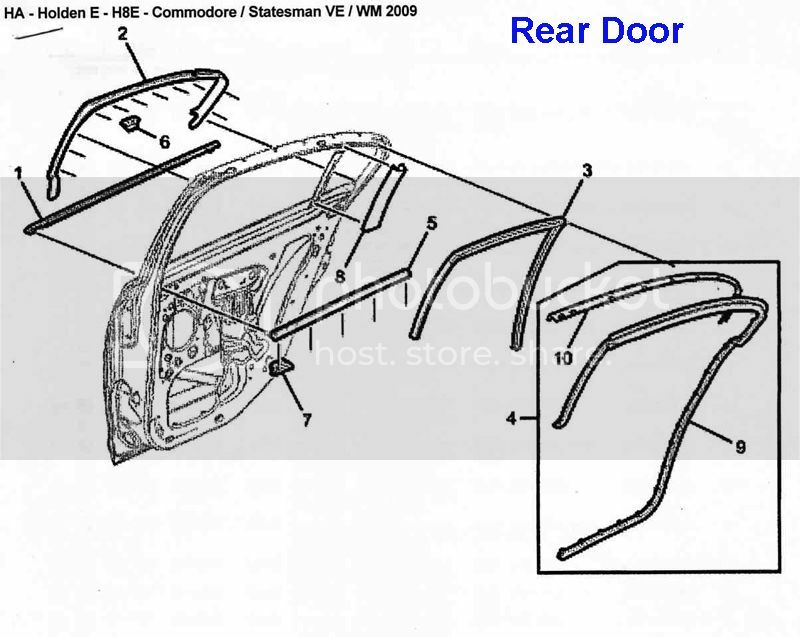 The side panels for radio and also the long wedge shaped pieces on either side of the lower centre console are held with round white clips Part No 90459628. 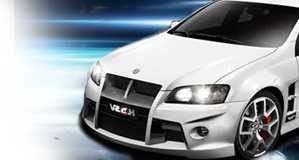 Any alternative to this that will work on the side panels?